Dr. Thomas J. Mone at Mone Periodontics offers Braintree, MA patients a new form of gum disease treatment that now effectively treats gum disease and stimulates bone growth. Patients should schedule a gum disease consultation to learn more about how the Laser Assisted New Attachment Procedure (LANAP) is treating gum disease. Dr. Thomas J. Mone at Mone Periodontics in Braintree, MA is increasing awareness among between periodontal disease and an increase of jaw bone deterioration. Dr. Mone makes use of the new gum disease treatment known as Laser Assisted New Attachment Procedure (LANAP) to treat gum infections, which can possibly save at-risk teeth by stimulating regrowth in the jaw bone. When you meet with Dr. Mone for a gum disease consultation, you will learn about the role that gum disease plays in not only your dental health but your overall health, including the very structure of your jaw and face. Gum disease can become severe enough that teeth are lost. The impact of this is multi-fold, includes not only cosmetic and functional problems but essentially structural ones as well. Teeth help to provide needed stimulation to the jaw bone and when bone does not receive such stimulation, as in the case of missing teeth, the bone will deteriorate over time. Various problems occur from this situation and can be evidenced by a sunken-in appearance of the jaw and lower portion of the face. Effective gum disease treatment can help to prevent this. LANAP gum disease treatment offers many benefits when compared to traditional surgical methods of treating periodontal infections. A comprehensive gum disease consultation will help you learn about LANAP’s minimally invasive process and surprisingly simple recovery period. Gum disease treatment is critical for any patient in jeopardy of losing jaw bone density, as healthy gums are needed to provide support and protection for the bone. Additionally, if you have a lost tooth or are facing an extraction, your ability to receive an implant is dependent largely upon the health of the gum that exists. If you are interested in learning more about LANAP and how it may help you, Dr. Mone invites you to schedule a gum disease consultation with his office today by calling 781-348-9925. Mone Periodontics is a periodontal practice offering personalized dental care for patients in Braintree, MA. The leading periodontist at the practice, Dr. Thomas Mone, graduated from the University of Massachusetts with a bachelor’s degree, and then went on to attend the University Of Pennsylvania School Of Dental Medicine and graduated at the top of his class. 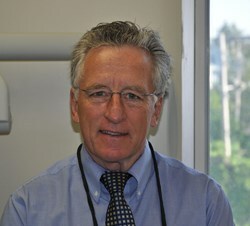 He completed his periodontal training at Boston University Goldman School of Graduate Dentistry. Dr. Mone is part of one percent of dental professionals providing the LANAP FDA cleared laser procedure for gum disease and periodontal treatment. To learn more about Mone Periodontics and their dental services visit their website at http://www.braintreeperio.com and call (781) 348-9925.